REPUBLICAN PRESIDENTIAL candidate Tim Pawlenty was right. While he backed away from the nice term he coined — ObamneyCare — the health reforms enacted by then-governor Mitt Romney in 2006 and President Obama in 2010 have much in common, although both would deny it. Their main strength is that more people get insured. In Massachusetts, the percentage is up to 98 percent, the highest in the nation. Obama projects that about 95 percent of people will be insured nationally in a decade. But both Romney and Obama punted on crucial issues of cost and deeper systemic reform. At their core, both plans depended on a deal with special interest groups. In Massachusetts, Romney needed and got buy-in from the powerful hospital, insurance, and corporate lobbies. To win that support, he could not fundamentally change the way they did business. Instead, private insurance companies got more customers thanks to the individual mandate, hospitals kept their beds full, and corporations that failed to insure employees paid only a token penalty of $295 per worker. An experimental “global payment’’ approach recommended by a state commission and now being tested by Blue Cross would save costs by giving medical providers an overall budget, rather than paying procedure by procedure. But that experiment might not save costs if implemented statewide. At the federal level, interest group politics also dictated the design of Obama’s Affordable Care Act. The administration enlisted the collaboration of the insurance and drug industries, rather than pursuing savings at the expense of industry profits, such as federal bulk purchases of drugs. In the end, Obama did alienate the insurance lobby by paying for much of his new program by reducing subsidies for the privatized version of Medicare, a big profit center for insurers. The administration places great hopes for cost savings in a new commission that will disseminate best practices and try to reduce unnecessary spending. But even with the Affordable Care Act, the administration projects that total health spending relative to GDP will be higher in 2021 than in 2011. Both the Massachusetts reform and the federal Affordable Care Act require people to get insurance, they subsidize the poorest, and promote “affordable’’ private insurance products for middle-income people who make too much to qualify for subsidy. But the affordable plans have high deductibles, so both approaches conceal a lot of under-insurance of people nominally insured but not covered for all necessary care. There are in fact differences between the Romney and Obama plans. Obama scores better in approaches to cost containment, investment in prevention, and help for small business. And it’s often forgotten that key provisions of the Massachusetts program had to be passed over Romney’s veto. The controversial individual mandate common to both reforms has ceased to be an issue in Massachusetts. 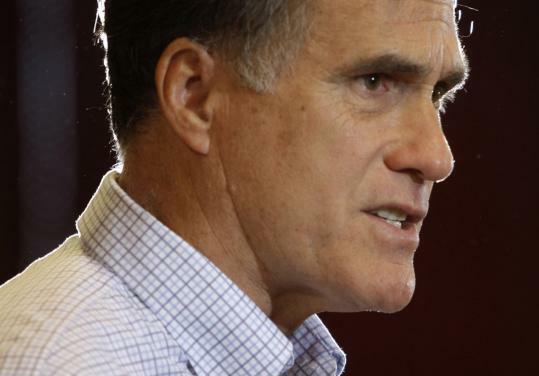 Romney defends it, so if he is the GOP nominee, there is no debate about the mandate. Yet there is a real debate to be had on health insurance, though not between Romney and Obama. On one side, Republican conservatives want to turn government programs such as Medicare and Medicaid into vouchers. Citizens would get a flat sum. If the cost of decent coverage exceeded the voucher, well, good luck. This approach would certainly reduce government costs. It would also reduce care. On the other side, Democratic liberals point to nations with national health insurance, where the efficiencies are such that everyone is covered for about 10 percent of GDP compared to over 15 percent (and rising) here. Sooner or later, as costs keep exploding, the real choice for America will come down to vouchers versus true universal health insurance. It’s too bad that this debate will be largely offstage next year.